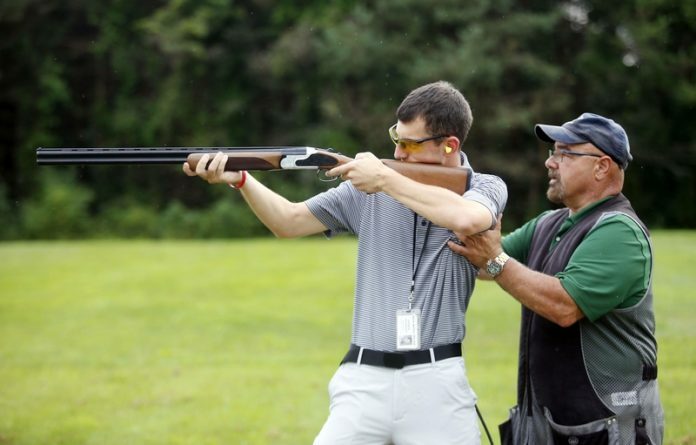 Is PCP air rifle the best choice? Choosing best air rifles under $100 for an adult is not an easy task. You are on the budget, the buying options are limitless and you don’t want to waste your hard-earned money on cheap, poorly made toy guns. But don’t you worry; this top 5 list brings you the best rifles on the market. These are quality guns that can last for years, offer solid basic features and are excellent for beginner adult. They are awesome for target shooting and plinking. Most of them can help you get rid of the nasty pests in your property. What’s a classic gun that American kids and adults love altogether? A Daisy Red Ryder . Correct. And what’s even better than a Daisy Red Ryder? 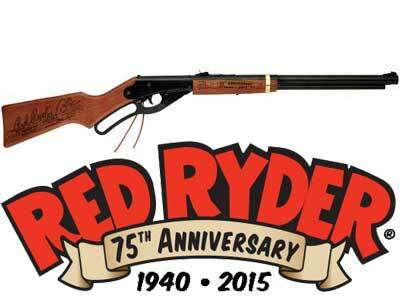 A Daisy Red Ryder 75th Anniversary Edition. Oh yeah. It’s the only gun in this list powered by nitro piston technology so the Vantage inherits smoother cocking, quiet noise and easy-to-use operation. This one is probably the cheapest gun on the market with NP power plant. Build on solid hardwood stock, this rifle comes with shiny fiber optic sights, high velocity and lethal knockdown power. Due to plastic construction, the Hornet is much lighter than other hardwood stock guns. Despite its lightweight ness, it hits very hard with serious take down power. Whether you have problems with rabbit, chipmunk, squirrels, or snowshoe hares, the hornet solves it all. It knows how to sting! This rifle is what you need if you want a clean, humane kill at the rodents. Well-built, accurate and hard-hitting, Black Hawk is a solid small-game gun that you can get with only under 100 bucks. Enter the squirrel’s worst nightmare with the Ruger Air Hawk. Avalable in .177 only, this rifle is made of solid hard wood stock. Shooting consistent out of the box with extremely high velocity (supersonic included) and superb knock-down power, the air hawk shoots and feels like the legendary RWS 34 but at the 1/5 price. It’s hard to beat this rifle in its price range and that’s why the Ruger Air Hawk deserves a place in the top 5 rifle list. Have an average consumer rating of 4.0 or more. This list works mostly for adult, with the exception of the Daisy Red Ryder 1938 (which the kids can use and enjoy), all the other guns are meant to be used by adults. How this list was compiled? Search for every air rifle on largest air gun retailer sites such as: Amazon, Walmart, Airgundepot, PyramydAir, Cabelas,… you name it, which have the prices under $100 and add it to the spreadsheet. Note the price and the number of reviews on multiple listings of each individual product. Why would I do that, you ask? Because there are different listings online for a specific model: for example, one listing comes with the scope while the other comes with safety glasses ,ammo, and paper target. The gun remains the same and that’s what we pay the money for. From those stars, calculate the average rating. Sort the air rifles by the consumer ratings (high to low) to find the top 5. Make the final adjustment to the final top 5 based on the unique features the guns have. The purpose of this list, obviously, is to save you time and effort by not going through the hassle of digging into each model among the hundred choices of air rifle in this price range. All of these rifles are affordable, convenient, and have impressive features worth more than the price you pay for it. Also, an air rifle under 100$ is not just an air rifle. The skills you practice with them will directly transfer to the firearm. So, sit back, relax, take a look and choose wisely. Founded by air rifle lovers, Airgunmaniac.com provides comprehensive air rifle buying guides, reviews, comparison table and shooting-sport related information to help you make the best buying decision and choose the best air gun that fits you the most. Air Gun Maniac - an ultimate, one-stop solution for air gun enthusiasts !